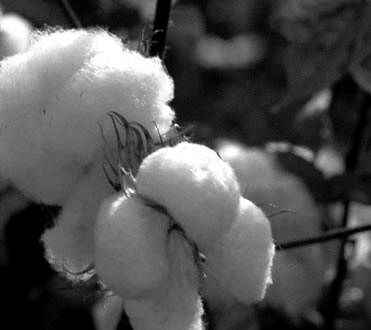 What makes Egyptian Cotton Unique ? – The humid conditions and rich soil in Egypt along the Nile River banks create the perfect conditions to grow long cotton fibers (also known as staples). 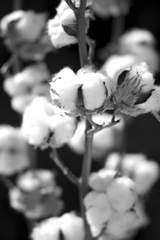 – The staples of Egyptian cotton can range from 1 1/2 inches to 2 1/4 inches. Their long length is about twice the size of other cotton fibers. – The length of the fiber makes it possible to spin the finest yarns without sacrificing the strength of the yarn itself. – The strength of the fiber makes fabrics more durable and resistant to stress. – Its ability to absorb liquids gives fabrics made of Egyptian cotton deeper, brighter and more resistant colors. – The yarns are smooth and lustrous and the softness of the woven fabric feels like nothing else in the world. 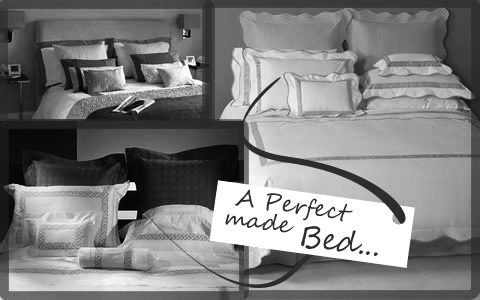 – Egyptian cotton is hand picked which guarantees the highest levels of purity. In addition, hand picking puts no stress on the fibers – as opposed to mechanical picking – leaving the fibers straight and intact. – The particular care in terms of the cultivation process, and the hand harvesting, ensures that the cotton is perfectly clean at every stage of the growth cycle. The cotton is gathered by hand at 5 specific stages of its life in order to select only fully ripe seeds. This meticulousness yields a perfect quality yarn: its long and ripe fibres give an exceptionally soft and silky product with truly outstanding quality. A Proper care of your Fine Household Linens, is essential for a good long-lasting preservation of their beautiful appearance. Your Fine Lines can easily be washed at home, just follow the following rules of care and maintenance and your Linens wil wear softly and smoothly through endless washings. 1. Machine wash your fine linens in warm water on a gentle cycle with a cold-water rinse. 2. Pre-wash linens before first use. 3. Separate your linens from other items in the wash.
4. Separate light and dark colors. 5. Avoid overloading the washing machine, which can cause fibers to break down from excessive abrasion and agitation. 6. Be careful to pre-treat any stains prior to washing. Use a neutral or mild detergent that does not contain any bleaching agents such as chlorine or peroxide. Do not pour detergent directly on textiles; rather, add it to the water as the wash tub fills or dilute detergent with water, then add linens. Unless linens are very soiled, you only need to use half the recommended amount of detergent. 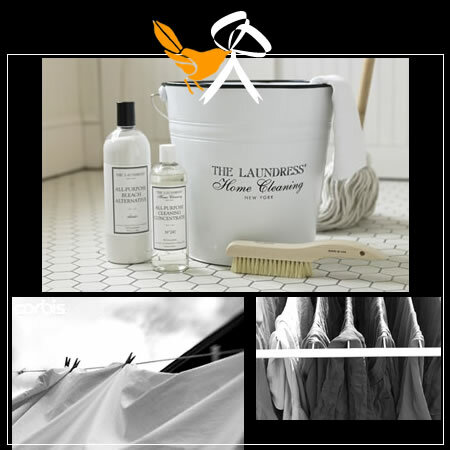 We recommend the following detergents for your luxury linens: “The Laundress” www.thelaundress.com (212-209-0074) , “LeBlanc – Linen Wash” www.linenwash.com (800-814-9274) or “The Laundry” www.linenlaundry.com (800-637-6334). CEO and Co founder of Belvivere Luxury Linens – Jay C Conti just released a short buyers guide with an easy to follow Step-by-step Checklist to get your shopping for luxury bed sheets done right. The 10 Step buyers guide will lead you through all the jargons and technical details in a quick and easy way. After reading and compiling the Step-by-Step Checklist, you should be able to make an informed purchase decision when shopping for new bed sheets ! 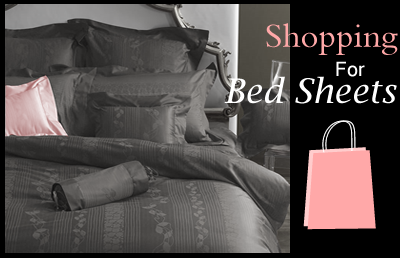 There’s a lot of people seeking for any kind of information on the internet about bed linens thread-count, fabric qualities, different type of cotton or just for expert advice about the very best sheets they can buy. You can read as many articles as You want on Luxury sheets, still not even a million words would be enough to actually describe how it feels to sleep in them. There’s no better way by trying different kind of quality sheets on your own bed , experience sleeping on them, see for yourself how nicely they wash. Discover on your own how soft the Cotton Sateen is how crisp the Cotton Percale is and how warm and fresh Belgian linen are. 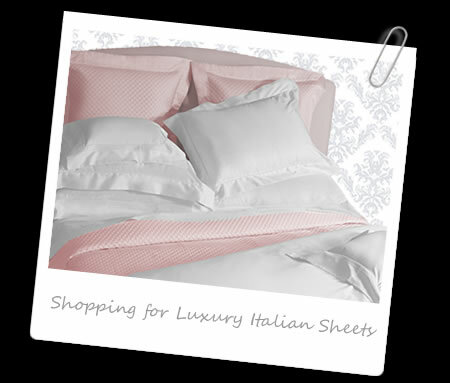 We at Belvivere Luxury Italian Linens thought of a whole new way to let you experience our Luxury Sheets, You can find an exquisite selection of world’s finest linens offered on a Monthly Subscription basis with different membership plans available at Belvivere Luxury Sheets Lover’s Club. Indeed you may also find valuable information about the different kind of sheets and what set them apart from just ordinary bedding. PS ‘Early Birds’ will have the best offer! According to Gretchen Rubin, author of “The Happiness Project”, making you bed neatly and tightly every day can actually increase your overall happiness. 58 of them will shop at discount dept. stores ending with a poor quality product on their bed. 33 will shop at mid-priced, specialty retail chains getting just ordinary sheets. 4 will shop at high-end department stores or boutiques ending up paying way too much. Only 5 of them will shop at warehouse clubs or direct-to-consumer stores getting real value for their money. That means that 95% are somehow getting their bed sheets shopping Wrong, and only 5% are doing it the smart way, getting their Luxury Bedding at very compatible price! Think about the best Luxury Hotel sheets you’ve ever slept on, and your memories might include spectacular snoozing, passionate wrestling or just languorous mornings in Bed. You Slip into Bed and Feel the crispy Texture of Smooth, whisper-weight Sheets on your Bare Skin. Indulge your senses……………. Try on Your bed the finest Soft and Crisp American Pima cotton percale for exceptional comfort. Percale cotton is lightweight and crisp yet incredibly soft. Percale is a plain weave with a matte finish (not shiny) and a supple lofty hand. Sea Island or American Pima cotton is a very strong, high-grade, long staple cotton quality developed from selected Egyptian cotton crops in the southwest of the United States. Because of the fineness of Pima cotton, more fibers can be spun into a yarn of a given count, which will enhance the feel, softness, drape and brilliance of a fabric. It is named after Pima County in southern Arizona, location of the experimental farm on which it was firstly developed in the early 1900s. Its fineness and longer staple length makes Pima a premium cotton fiber and an eccelent cotton for Luxury Linens. Pima cotton is grown almost exclusively on furrowed rows where growers can closely regulate irrigation and other inputs. Pulling the fiber from crops is more expensive than other cottons since Pima cotton is roller-ginned to remove seeds and impurities. It now accounts for only 3% of US annual cotton production and is mainly cultivated in the San Joaquin Valley, California where the cotton can benefit from a long growing season in a hot, dry climate. Percale is simply a word that describes a way that fabric is woven together. It is a type of plain weave with a closely-woven structure that relies on a simple “one over, one under” where each yarn alternately crosses over and under another, to produce a strong, even fabric. (Think: Making a pot-holder in summer camp). This is different from other fabrics, such as sateen, where each thread crosses over 4 others. Where to Buy Luxury Linens Online? Welcome 2016! Life-Enhancing Home Resolutions for the New Year. 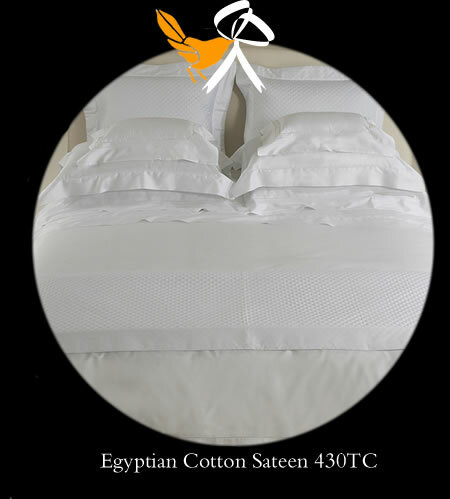 Egyptian Cotton Sheets are Luxury Linens perfection! 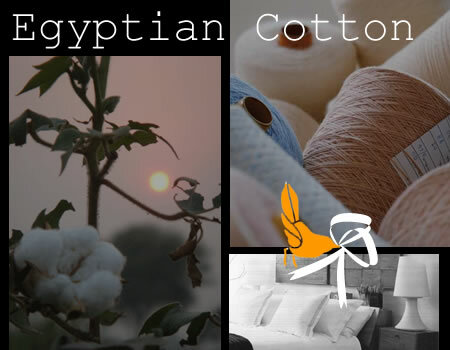 It can be misleading to evaluate Egyptian Cotton luxury linens just by touching and feeling a sample cloth of fabric in a store as there are many other cotton qualities that can be nice and soft as well (such as Pima). Egyptian cotton though deploys most of its great characteristics in the long run after year of use and endless washings. It even gets smoother and softer with time while the other linens just get ripped off and must be thrown away. Egyptian cotton luxury linens are expensive. It costs money to achieve the greatest quality and that’s what a higher price tag stands for. In the end luxury linens shall be considered as any other investment in durable assets. The R.O.I. will outstrip the initial cost with spectacular comfort for years to come. 3 FRESH BEDROOM DECORATING IDEAS YOU CAN PUT TO WORK RIGHT NOW! LUXURY BEDDING ENSEMBLES: HOW TO CHOOSE THE RIGHT COLOR SCHEME TO MATCH YOUR BEDROOM DECOR. WHO SAID WHITE BEDDING IS BORING?